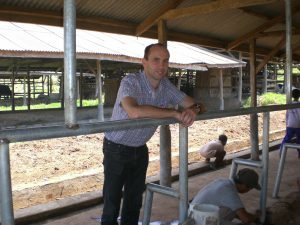 Each month, we’ll feature a Business Advisor of a different country to show how you can benefit from working with Agriterra. Richard van der Maden is our Business Advisor for the month of December! This week, he gives some helpful tips on the difficulties and opportunities of doing business with Indonesian companies. “Agriterra sets up business deals between between Dutch food companies and Indonesian farmer cooperatives. We do not only coach the farmer cooperatives, but also guide Dutch businesses on how to conduct business and build relationships in Indonesia. We have a fulltime presence and large network in Indonesia and are intimately familiar with the cultural norms of the country. Doing business in Indonesia has become a lot easier in the last years. There have been many positive improvements in infrastructure and healthcare since the new president was elected in 2014. There is also a lot of interest in Indonesian society and government to do business with the European Union and the Netherlands specifically. The current Indonesian president, Joko Widodo, calls the Netherlands ‘our oldest European ally’ and is eager to strengthen our bonds. Indonesia is especially interested in our knowledge and experience of harbours, water management and horticulture. Recently Dutch prime minister Mark Rutte also conducted a trade mission to Indonesia. “Another important aspect of doing business in Indonesia is that everything is built on relationships. You have to be on the ground, face to face, talking to people. E-mailing, skyping or paper agreements hold less sway here. Many people will only do business with you if they know you personally. It is really quite hard to get people to ‘move’ from a distance. That is the big advantage of doing business with Agriterra. We have a local presence with Indonesian Business Advisors. As such, we can play an important intermediary role. 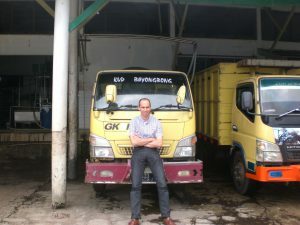 “There are many interesting commodities which can be sourced from Indonesia. Cocoa and coffee are great examples; Indonesia produces great quality coffee. Especially the Arabica coffee from the highlands of Sumatra is considered very good. Dutch coffee roasters were ecstatic about the coffee bean samples we imported from our farmer cooperative partners. The challenge for us is to help create a continuous supply with the same quality. What is interesting about the coffee trade is that a lot of the taste of the final product is decided by the roasters themselves in the roasting process. In order to make the coffee farmers in Indonesia conscious of quality and taste we organize our own coffee tastings. We take some green bean samples of different quality and roast them. When the farmers taste this coffee they can experience exactly what happens with the taste if they, for instance, don’t dry the coffee beans properly. It gives them insight into the quality necessary for international trading. Earlier, Richard introduced himself and the work of Agriterra in Indonesia. He also explained how setting up a business deal with a farmer cooperative actually works.